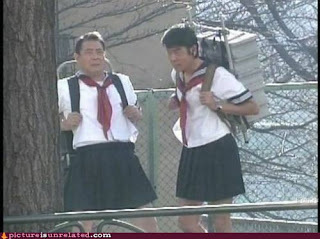 A great news story of a man banned from wearing a schoolgirl outfit. So no cosplay for him? Even if you don't read the story check the photo of the guy. Also I should say I have been saving this pic for just such an occasion.